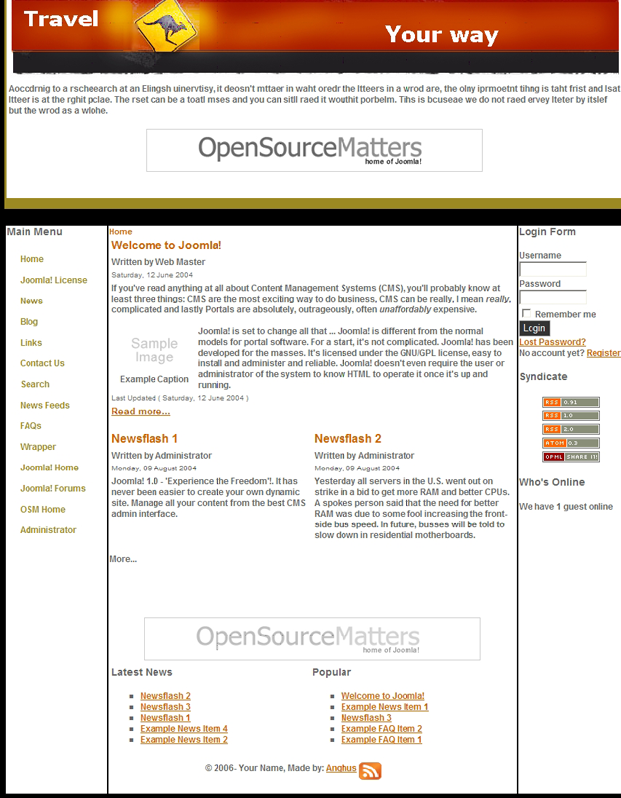 Magazine template for Joomla from Anghus.com. This is the second free template for Joomla, provided by the Norwegian SEO company: Søkemotoroptimalisering. The Magazine template is released under the Creative Commons Attributable-Share Alike license. Which basically means you can use it for commercial and non-commercial projects, but must link back to the author's site. To download press here. If you are having any problems with using this template or others provided by us, please don't hesitate to contact us. 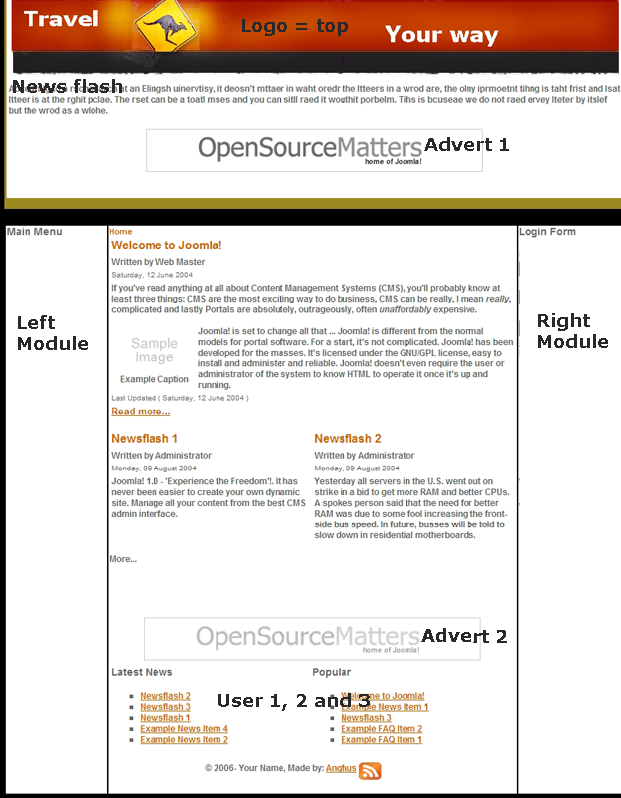 We have placed 8 different module positions for you, including two different banner positions. Module positions are described below.